Day 1: Marrakech – Ait Ben Haddou – Zagora. Leave early morning from Marrakech towards the high Atlas. We cross the T’ichka Pass(at 2260 meters) offering spectacular and beautiful landscapes. With different colours and the Berber villages along the way. Then, visit one of the best preserved and most spectacular kasbahs in Morocco. Certaintly, the fortified village of Ait Benhadou a famous site for Hollywood films. In fact, Lawrence of Arabia, The Last Temptation of Christ, Kundun, Gladiator… have all been used as locations. There, we will enjoy the lunch before we continue our exploration to the south area. We croos the Draa valley We reach the door of Sahara desert, Zagora. 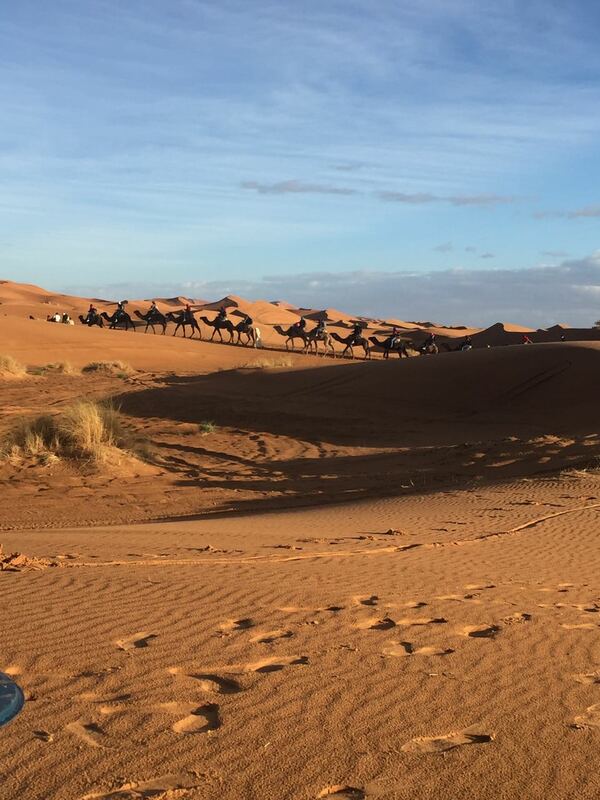 Around 04 p.m you will ride camels deeply in the desert . The night will be spent in a desert camp under the nomad tent with dinner. Day 2: Zagora – Draa valley – Ouarzazate – Roses Valley.